Mardi 11 décembre 2018 : Colloquium J. Morgenstern "Majority judgment: a new voting method"
Rida Laraki is director of research CNRS in computer science at LAMSADE (Dauphine-PSL). He graduated from the Ecole Polytechnique in 1996 and did a PhD in Mathematics at the University Pierre et Marie Curie (graduated in 2000). From 2006 to 2017, he was part-time professor at the École Polytechnique and since then, he is part-time honorary professor at the University of Liverpool. His research is in game theory, social choice, economic theory, optimisation, learning, and operations research. 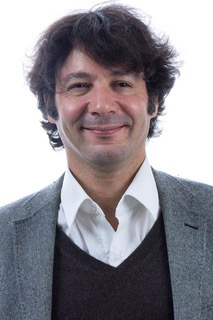 He is associate editor in several international journals in game theory and operations research, he is responsible of the doctoral program in computer science at the University of Paris Dauphine, and responsible of the french scientific society on the mathematics of optimization and decision: SMAI-MODE.